May help delay premature graying of hair. Bhringraj powder or Eclipta alba powder is mostly used to support healthy hair growth. 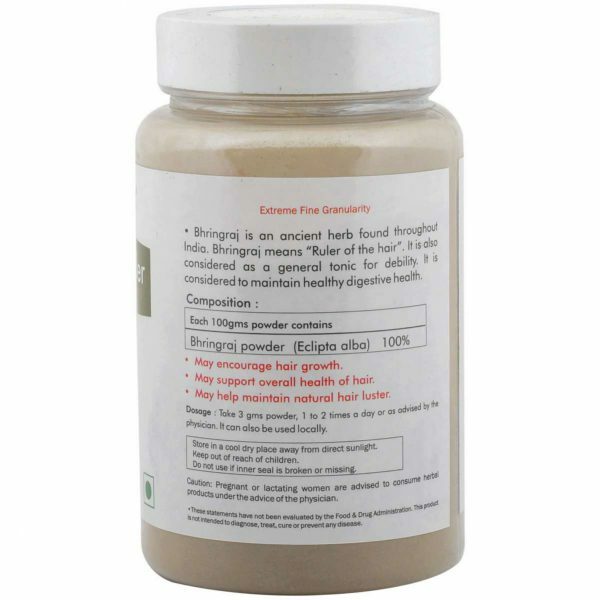 Additionally, this Bhringraj leaves powder may also be a natural hair care tonic. Buy Bhringraj powder online at Herbal Hills as it may contain alkaloids, flavonoids, vitamins, proteins, isoflavones, methanol for a healthy scalp.Additionally, benefits of Bhringraj powder may include alternative, analgesic, antacid, anti-aging properties. This Eclipta alba powder with the preventive, rejuvenating and anti-aging properties may help promote overall hair growth. Additionally, it may help in reducing dandruff and thus, may help maintain a clean scalp. In addition, Bhringraj may help strengthen the hair and make them look naturally shining. Bhringraj means “Ruler of the hair”. 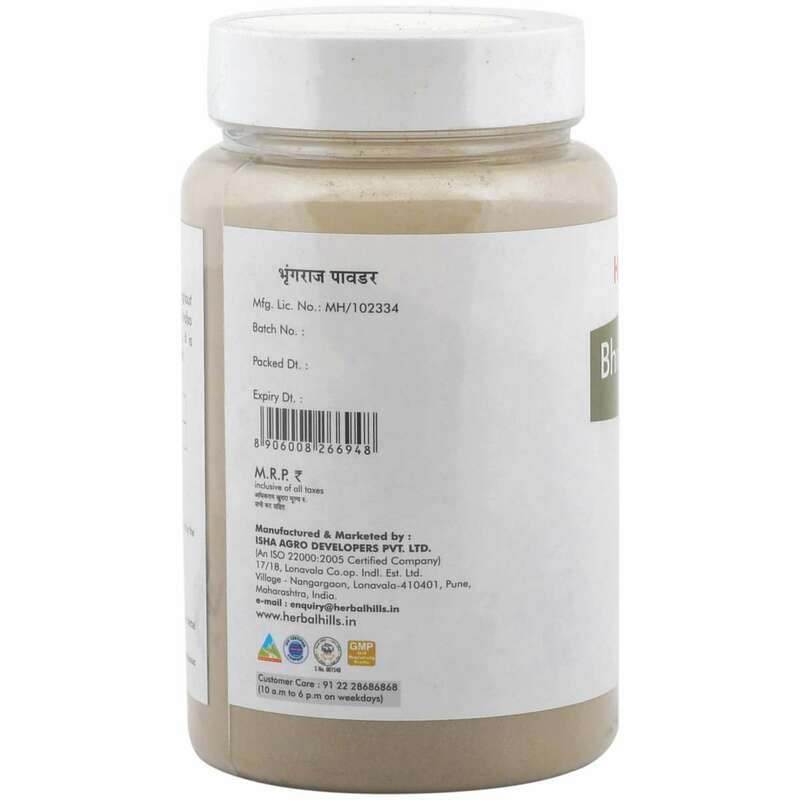 Indian culture has used Eclipta Alba powder for centuries for numerous conditions. 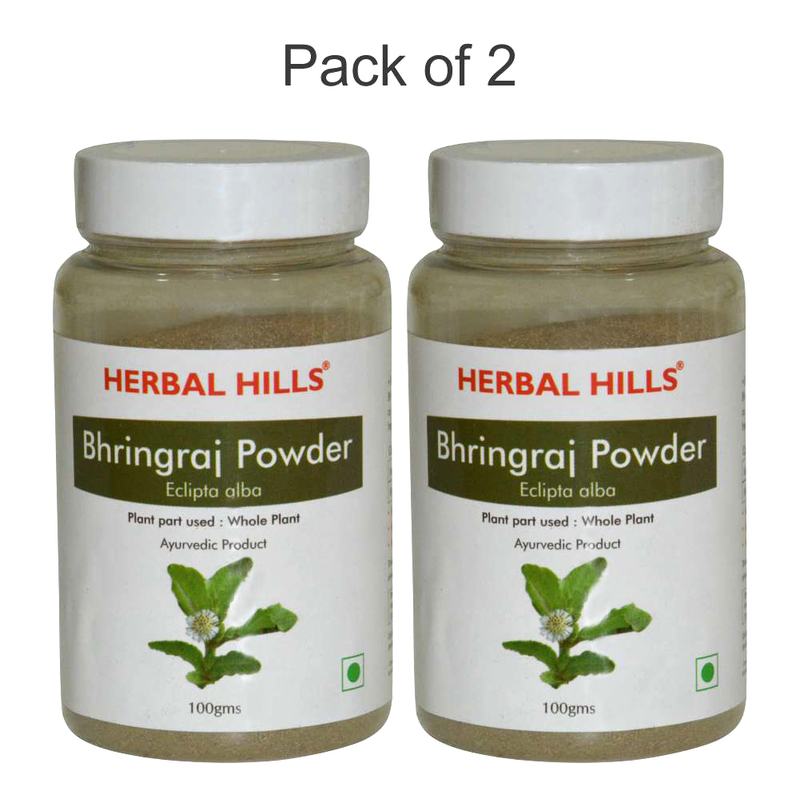 Furthermore, Bhringraj powder has hepato-protective properties. It may also help purify blood and help in some skin abnormalities. According to some studies, the benefits of Bhringraj encompass kidney and liver functions, too. Herbal Hills manufactures Bhringraj powder or Eclipta alba powder at its state-of-the-art facilities, which are ISO, Halal and GMP certified. 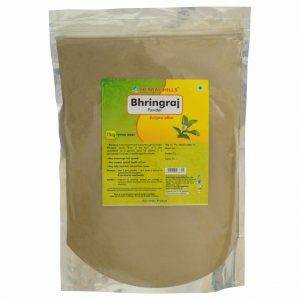 It is the best source to buy Bhringraj online as it quick in service and is 100% natural. Order online and enjoy the best hair care product which is absolutely natural and highly effective. We produce with highly-advanced and top-notched technologies to ensure high-quality standards. 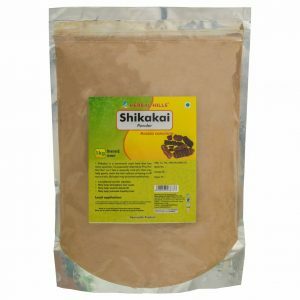 A team of experts who possess decades of experience in Ayurveda, has created this product. Created at a farm which provides a potent, chemical free and most suitable environment, Bhringraj powder is free from destructive chemicals and hazardous substances to make sure that it is safe to consume. Take 3 gms powder, 1 to 2 times a day or as advised by the physician. Can be used locally.